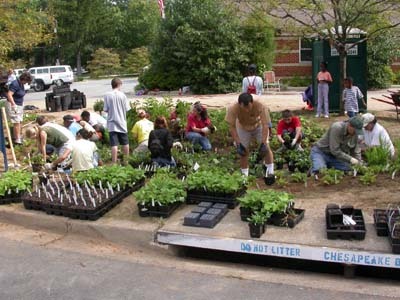 On September 11, 2004 CCRIC in collaboration with the Prince George's County DER and the Town of Berwyn Heights, held a Rain Garden Workshop which was centered on a hands-on volunteer effort to plant a rain garden. 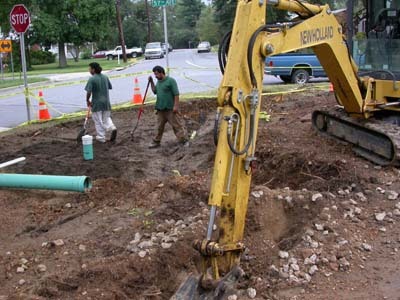 The two rain gardens are to be planted on the grassy areas between the parking lot spaces and the roadway of Berwyn Road and 57th Avenue. 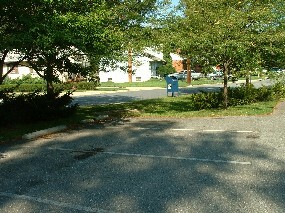 Site before the work started. Heavy machines prepared the sites ahead of the workshop as the rain gardens were to be located in depressions that catch and retain rain water from the surrounding paved surfaces. 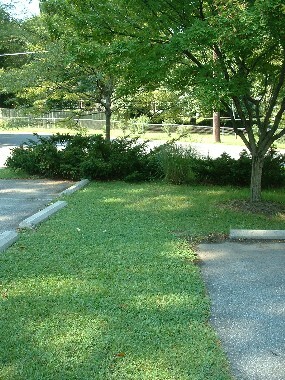 The plants were delivered by a nursery specialized in native plants. About 25 participants are seen here at work planting thousands of small plants, dozens of bushes and several trees.